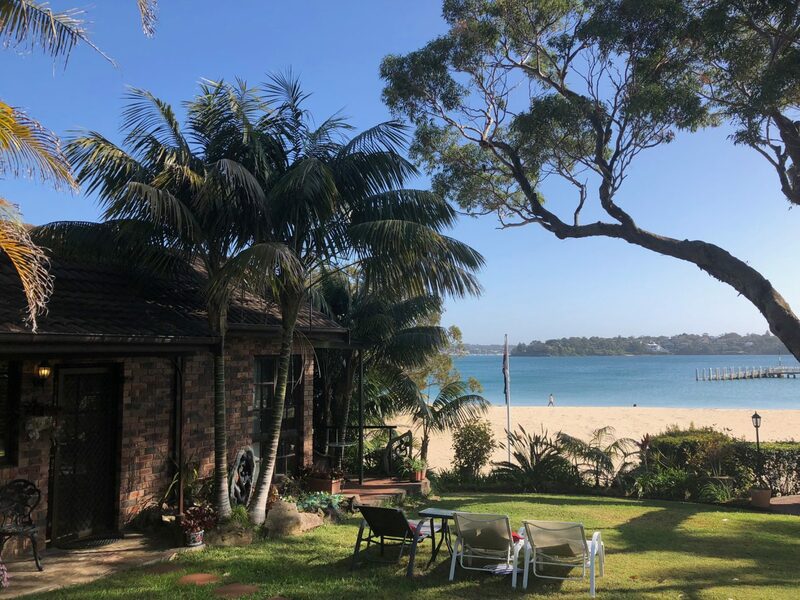 On the beach in Bundeena is the beautiful Beachhaven Bed & Breakfast. 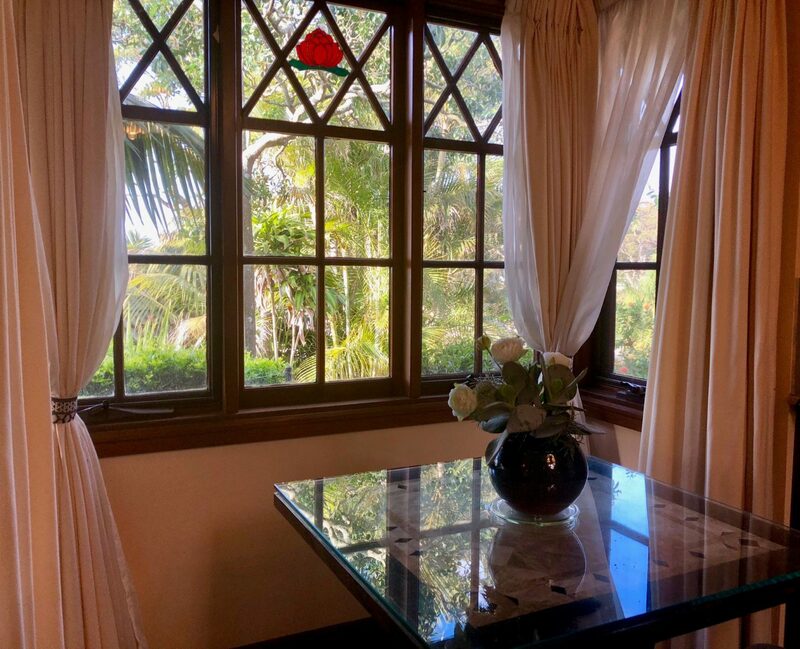 The Tudor-style fully self-contained suites are situated on a beautifully landscaped property on Horderns Beach. 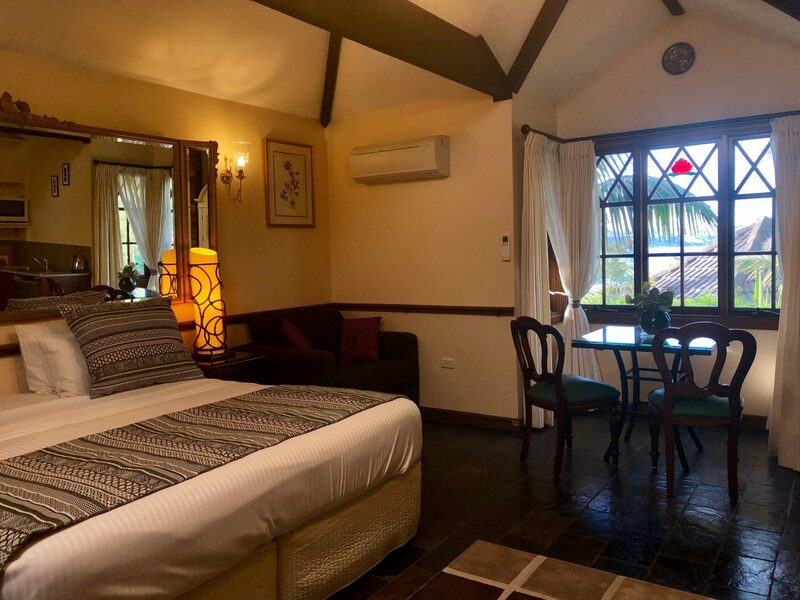 We have two Tudor suites that have been elegantly appointed with a number of interesting artifacts and antiques from yesteryear, creating a charming old world feel. Book online for best available rate via the Tumbling Waters Retreat online booking button. Tariff from $305 per night. 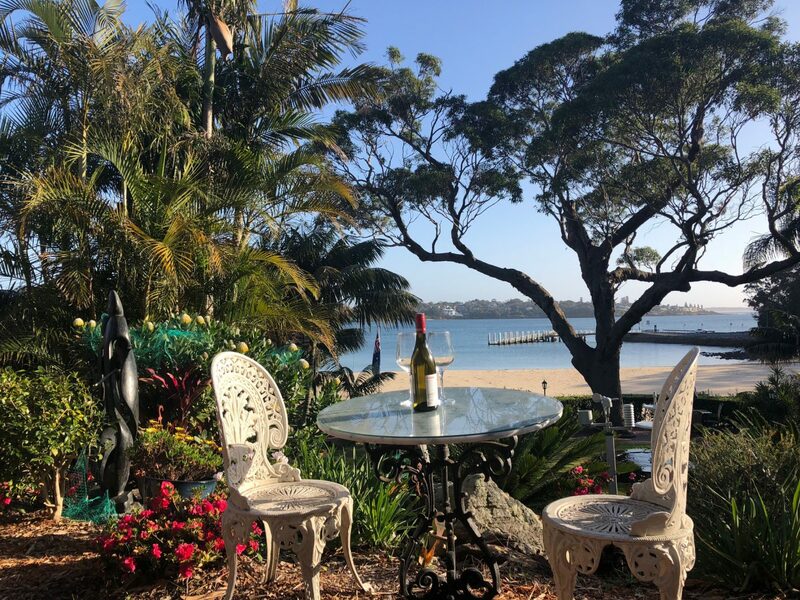 Complimentary Breakfast supplies are provided and may be enjoyed on the patio overlooking the garden, or the deck overlooking the ocean. Includes eggs, bacon, toast, cereal, juice, coffee and tea all supplied complimentary for you to have at your leisure. 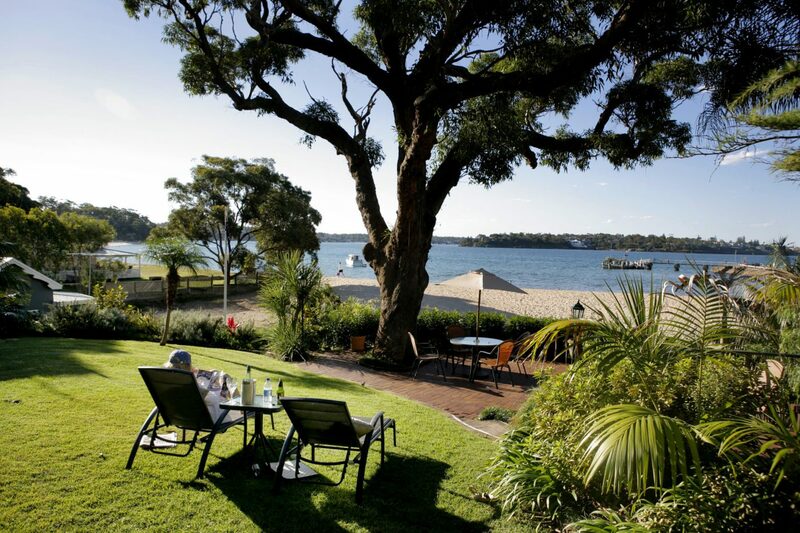 Bundeena Village with quaint cafes & clubs and super market all close by. Along with the monthly markets and art trails there is no shortage of things to discover. Your hosts reside on site and know all the best walking trails, hidden beaches and secluded fresh water swimming holes. 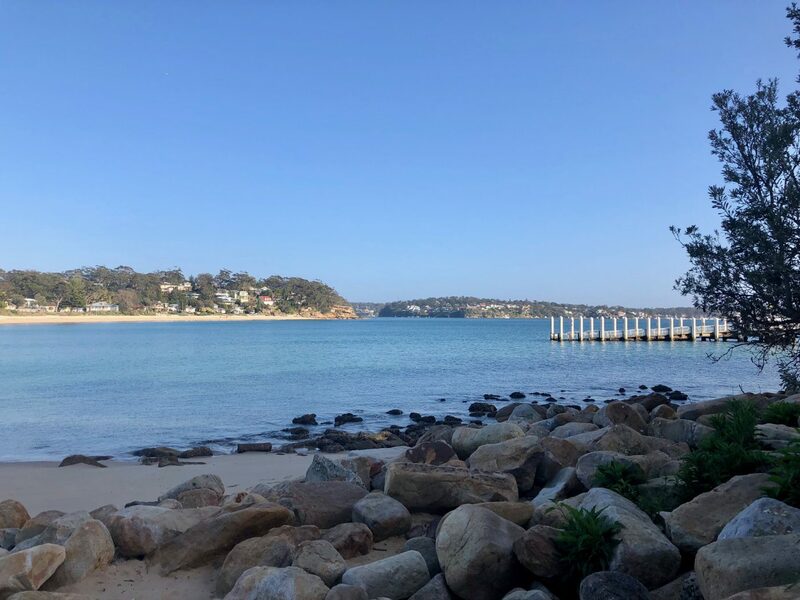 Relax, refresh, rejuvenate and recharge at Beachhaven Luxury Accommodation, Bundeena. Facilities onsite for guests to enjoy include a hot spa tub meters from the beach. 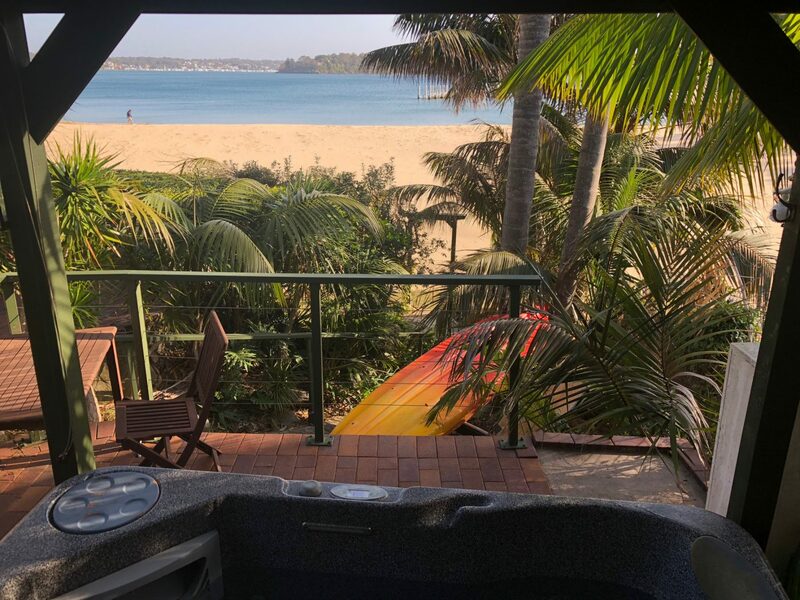 Guests also have access to undercover parking, WI-FI, DVDs, gas BBQ facilities, Kayak and stand up paddle board and life jackets all complimentary during your stay. 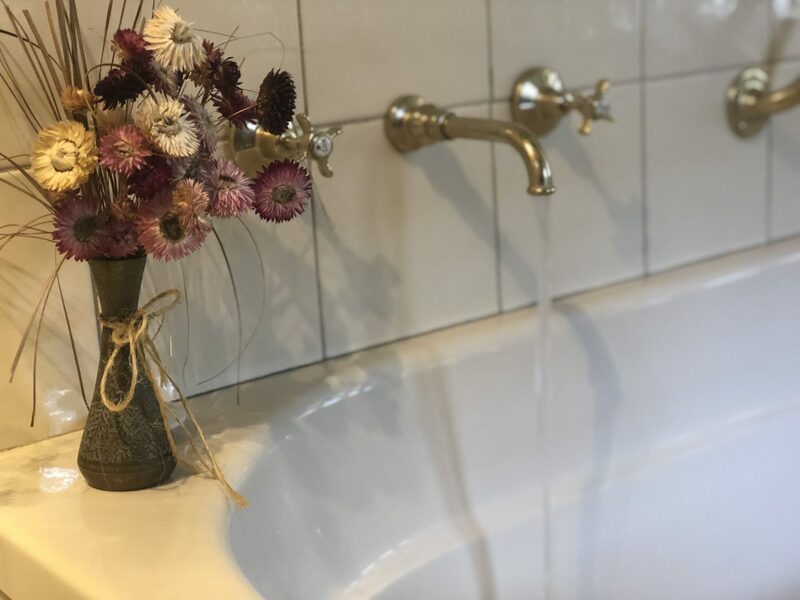 Accommodation in The Tudor Suite our largest and most private option, large plush king size bed, kitchenette, dining area and large bathroom with a handsome tub for two and a private Garden terrace area with a daybed. 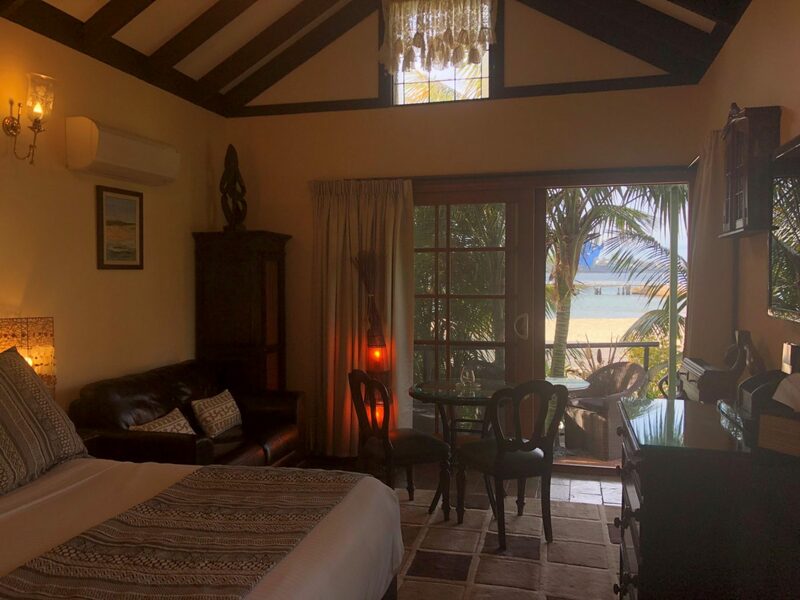 Accommodation in The Beach Suite consists of a large plush king size bed, kitchenette, dining area, and large bathroom with a handsome tub for two! Balcony with a day bed along with Ocean Views. Special rates for longer stays 4 days or longer, prices from $305 per night. A 1.5% credit card transactions fee applies. Beachhaven Luxury Accommodation also offers a sunny northerly aspect with a glorious beach literally on the doorstep. Those looking to venture further a field will find plenty to do within the 16,000-hectare Royal National Park. 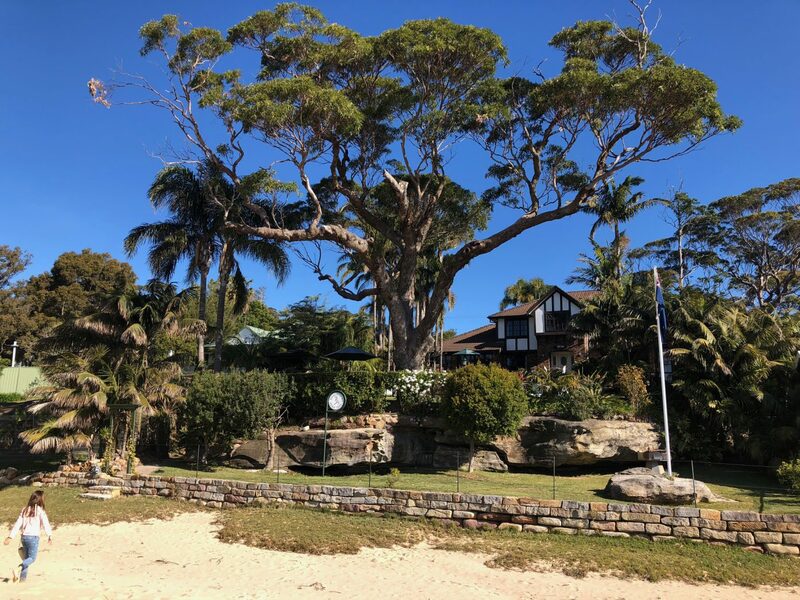 Stunning endless Coastal walks secluded Beaches, wedding cake rock, there are so many things to see and do or maybe you prefer to relax in your oasis by the sea at the beautiful Beachhaven Bed & breakfast by the sea. 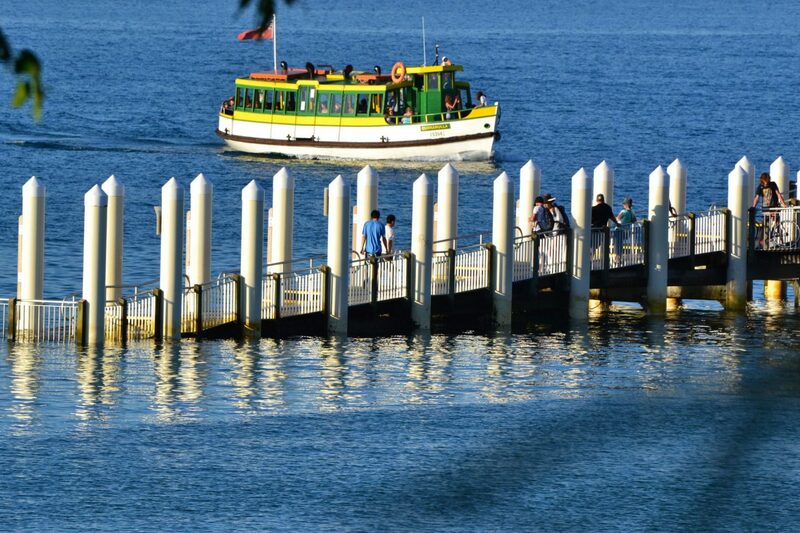 Train to Cronulla, then catch the ferry to Bundeena. Fill in the form below to get in touch with us. If you want to know about specific availability, please also select the dates and room that you are interested in.